When planning your own wedding, you want nothing more than to have a successful event. At Premier Party Rentals, you can find everything you need to make any event a success. You most likely don’t have every item you need already purchased. 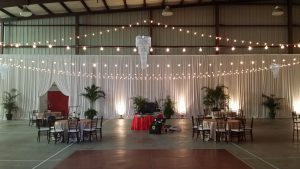 At Premier Party Rentals you can save money and rent instead. • Overlays, Runners, Sashes and MORE! Wedding Under Tent With Lighting.